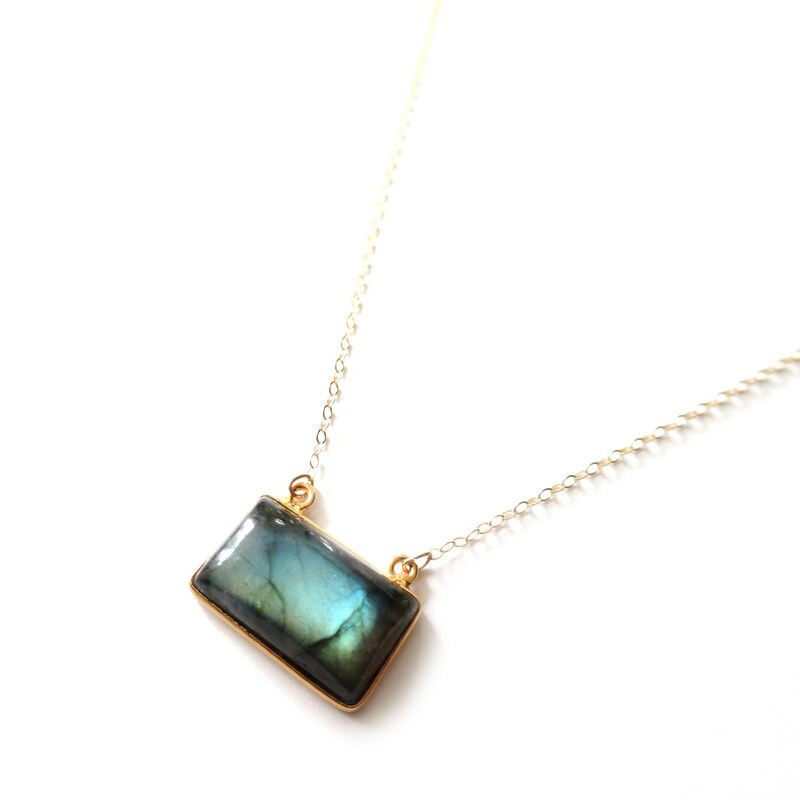 This labradorite pendant necklace is stunning. 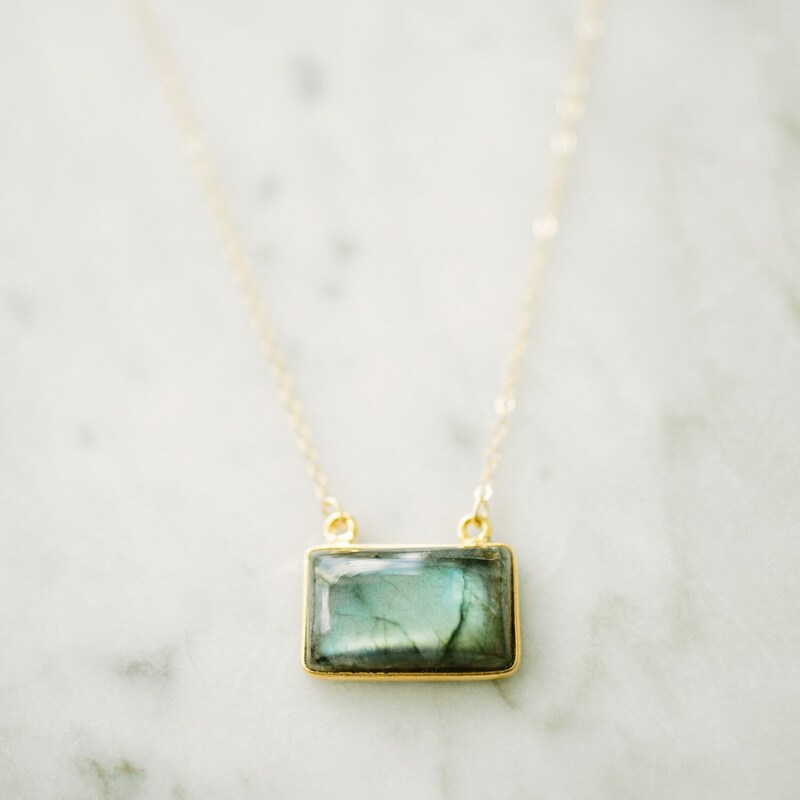 It is brightly polished and convex for some gorgeous luster with all the hallmark characteristics of a high-quality labradorite: flashes of blues and greens with a beautiful iridescent luster. I hung it on a delicate little gold filled chain. Pictures didn't do justice to this piece. It makes a beautiful everyday necklace, but is pretty enough for a wedding. 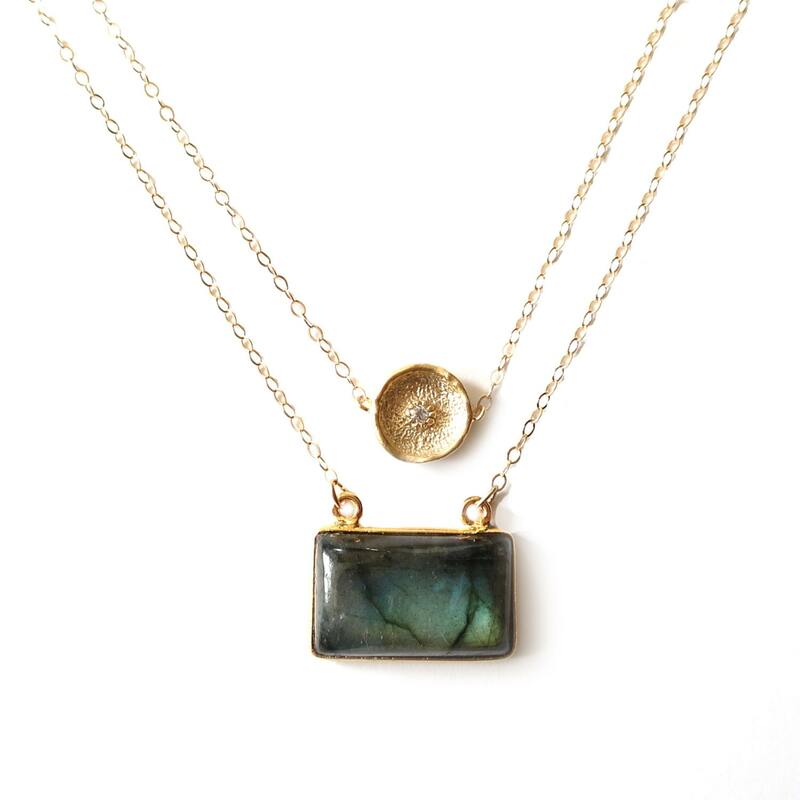 Please note: the labradorite pendant you receive may not be the same as the one in the photo, but all are comparable in size, quality and shape. »The model in the third picture is wearing the arrowhead at 16" and the moonstone at 18"
Beautiful necklace and stone! Promptly shipped. I highly recommend this seller. Thanks so much! I bought this for my sister and she loved it. Landon customized the necklace to make it longer. 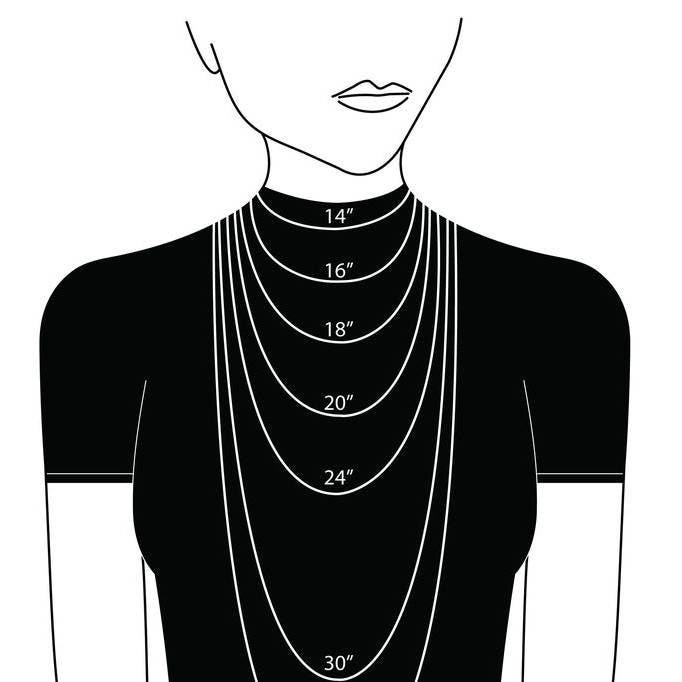 Lovely, well-made necklace. 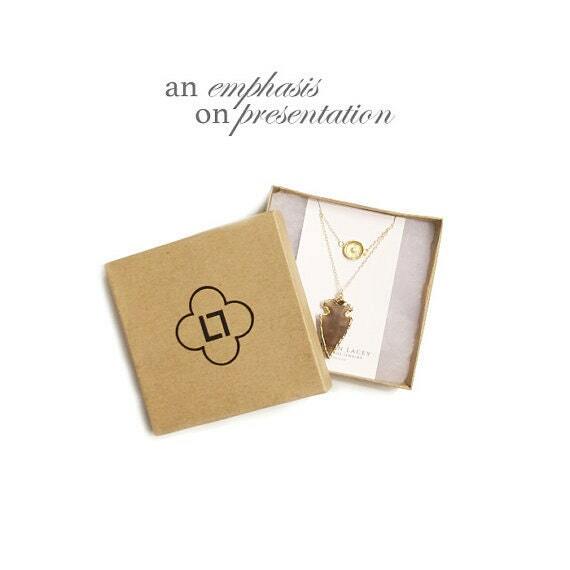 Beautifully packaged and quick to ship.